We often get calls from clients wondering what these mushrooms are in their landscape and if they are a sign of a disease problem. But not all fungus is bad! There are many beneficial types of fungi that help break down and decompose organic matter in the soil. If you’ll notice in the photo there is some hardwood mulch in the landscape. After periods of rain or irrigation, you may often see mushrooms like these pop up in your mulch. It doesn’t mean there is anything wrong with the mulch, it just means that the organic matter is being broken down. You may also see mushrooms pop up around tree stumps that are decomposing. Now, if you see shelf-like fungi sprouting from the base of your tree, that’s a problem and you’ll need to call an arborist immediately. 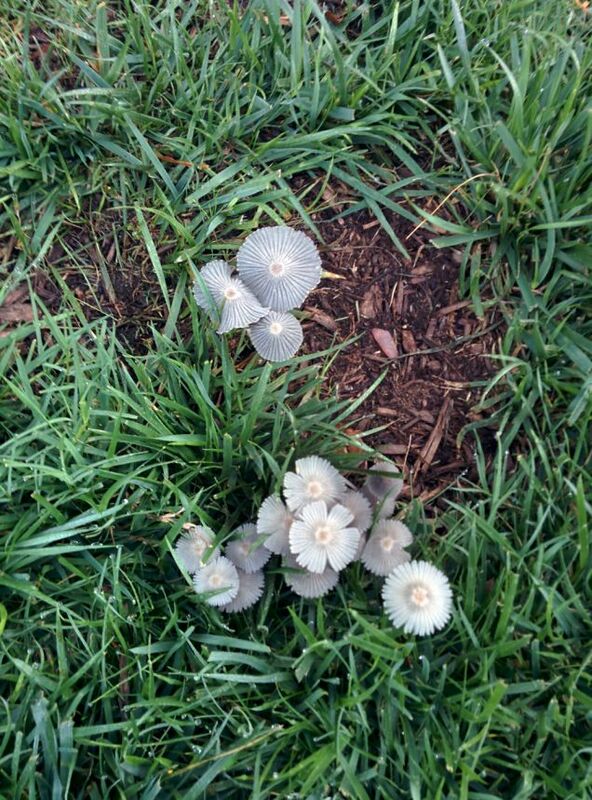 There are also other types of fungal diseases that can show up in your lawn, such as fairy rings.